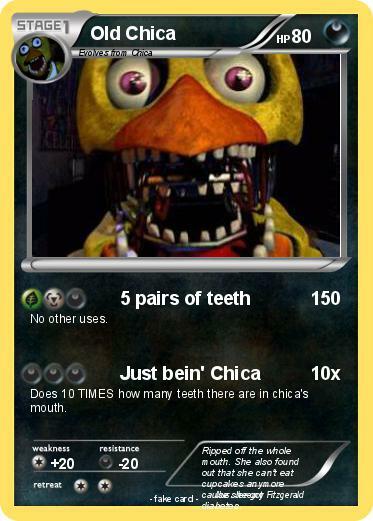 Does 10 TIMES how many teeth there are in chica's mouth. Comments : Ripped off the whole mouth. She also found out that she can't eat cupcakes anymore cause she got diabetes.